It’s tough to keep your grades up without having to take off at a moment’s notice to save the world. But for Sousuke Sagara, undercover high school student and member of the mercenary group Mithril, life in Tokyo seemed the same as always. But underneath the promising exterior spin the wheels of a conspiracy that threaten to destroy the peace. #full metal panic#fmp!4#full metal panic invisible victory#sousuke sagara#kaname chidori#OH YES!!! 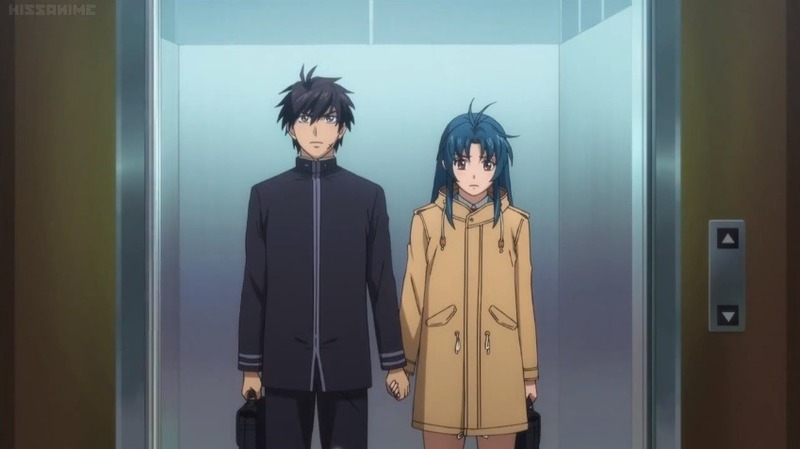 FMP IS BACK AFTER 115446530 YEARS#I can't believe I can see them again#I love this show so much#and it's bringing one of my fav otp back then#the first episode was so good too#<333333#I'm very happy#edit: fmp!